On 6 December, the Verkhovna Rada, Ukraine’s parliament, has overwhelmingly supported President Petro Poroshenko’s motion to not renew the country’s Treaty on Friendship, Cooperation, and Partnership with Russia when it comes up to its automatic prolongation. Now the treaty will expire on 31 March 2019 and won’t be renewed thereafter. 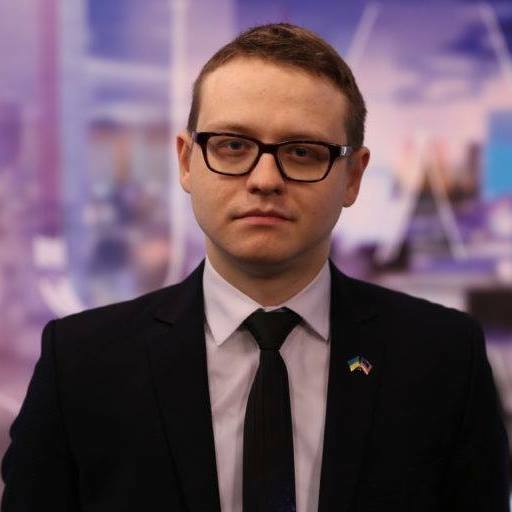 Mykola Bielieskov, an analyst with the World Policy Institute, has commented to Euromaidan Press that the Ukrainian move wouldn’t change much in Ukraine-Russia relations. Presidents Boris Yeltsin and Leonid Kuchma signing the “Wide-Ranging Friendship Treaty.” Kyiv, 13 May 1997. 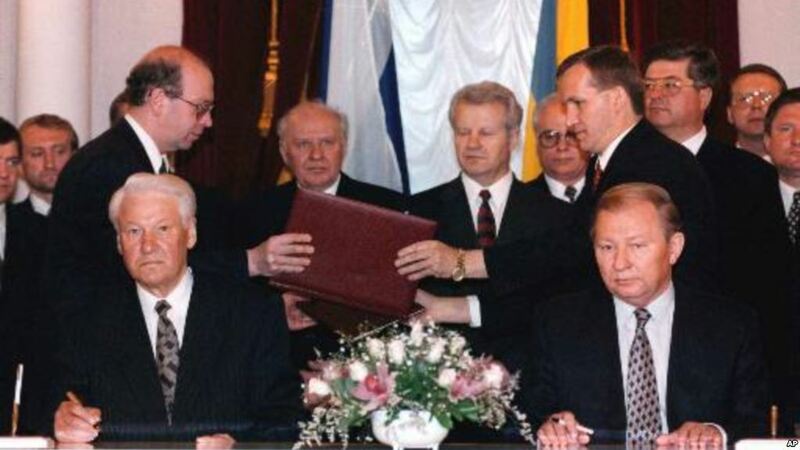 On 31 May 1997, then President of Ukraine Leonid Kuchma and his Russian counterpart Boris Yeltsin signed in Kyiv the wide-ranging Treaty on Friendship, Cooperation, and Partnership between Ukraine and the Russian Federation. It took almost two years to ratify the agreement. The Ukrainian Verkhovna Rada approved the agreement on 14 January 1998. The Russian State Duma did it almost a year later on 25 December 1998 and then Russia’s Senate approved the law on ratification on 17 February 1999. The agreement declared strategic partnership, the recognition of the existing borders of the two countries, respect for territorial integrity to one another’s country. The pact prevented Russia and Ukraine from declaring war to each other or invading the counterpart’s territory. The 2014 Russian annexation of Crimea and, its covert 2014 invasion in Ukraine’s Donbas region, and the most recent overt pirate-style attack on Ukrainian Navy ships made the treaty de-facto void since Russia failed to “respect the territorial integrity of each other and confirm inviolability of current mutual borders,” as the friendship treaty obliged. Back in 2015, the Verkhovna Rada declared Russia an aggressor state, citing its interference in Ukraine’s domestic affairs and Moscow’s involvement in the war in the Donbas. Russia’s Foreign Ministry called Ukraine’s claims “groundless innuendos” then. On 17 September 2018, President Petro Poroshenko signed a decree to enforce the decision approved by the National Security and Defense Council to bring the friendship treaty to an end. Later in September, the Ukrainian Ministry of Foreign Affairs handed a note about the discontinuation of the Agreement by Ukraine over to Russia and to the UN. It was done more than six months before the expiration of the treaty, in order to comply with its terms. On 6 December, while the bill required only 226 votes for approval, 277 lawmakers of the Verkhovna Rada voted to scrap the treaty by allowing it to expire, 20 legislators voted against it. Prior to Rada’s decision, the treaty was due to be automatically prolonged every 10 years, and under the new legislation, the friendship agreement will expire on 31 March 2019. “According to the Article 70 of the Vienna Convention on the law of treaties, the said treaty termination relieves Ukraine of any obligation to implement it and does not affect the rights, the obligations or the legal position of Ukraine arising from the implementation of the treaty prior to its termination,” reported the Secretariat of the Verkhovna Rada. Euromaidan Press has discussed the matter with Institute of World Policy analyst Mykola Bielieskov, who commented on what Ukraine’s decision means for the future relations between Ukraine and Russia, what consequences it may entail, and whether Russia can avoid the recognition of the Ukrainian decision and consider the Treaty valid later on. “Factually speaking, Ukraine draws a line at the situation which had started in 2014, because in practice the Treaty lost any significance. And, consequently, all its prescribed provisions – principles of collaboration in various fields – they are not executed. Thus, the further prolongation of the agreement makes no sense at all,” Mr. Bielieskov explains. According to Bielieskov, Ukraine should expect effectively nothing new. Ukraine puts a logical period to the current development of the relations since they are not in compliance with the logic and spirit of the groundwork laid for them in the 1997 Treaty. Mykola Bielieskov is skeptical of this opinion. Asked whether Russia can ignore the Ukrainian decision to not renew the friendship treaty and consider the agreement as valid, Mykola Bielieskov explained that under the 1969 United Nations Convention on the Law of Treaties, one of the sides can terminate any given treaty or withdraw from it. Ukraine observes these rules and there is nothing Russia can change anymore. “After the Rada voting, only one more diplomatic note is needed and that’s it – starting from 1 April 2019 the Treaty isn’t in force as not extended for the next 10 years,” Mr. Bielieskov clarifies. Ukraine hasn’t terminated the Treaty, as some media have reported, but it has canceled the automatic renewal of the agreement under Article 40 of the Treaty. Ukrainian Foreign Minister Klimkin explained that Ukraine used the agreement in the lawsuits it filed in international courts, that’s why it was important to discontinue the friendship treaty rather than to terminate it. That’s why it won’t abolish the obligations of Russia which were established by the treaty before its expiration. The expiration of the Treaty won’t affect the documented recognition of the Ukrainian borders by Russia, Deputy FM Olena Zerkal stressed, since in 2003 Russia and Ukraine have signed a separate agreement on the Russian-Ukrainian borders.